Discos en vinilo y CD de West End. 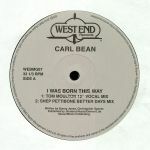 Review: An iconic Better Days favourite and groundbreaking disco hymn; Carl Bean's cult gay anthem enjoys a timely reissue with all its famous edits on one hefty 12". Tom Moulton, Larry Levan and two classic rebuilds from the one and only Shep Pettibone. Each mix highlighting a different aspect of both the original and the remixing artist, we're given the full sonic spread: Moulton captures the naked essence of disco, Levan brings the vocal right to the very fore while Pettibone went cosmic years ahead of his time on both extended, subtly dubbed mixes. Intérprete: Dj soFa, Juno Recommends Disco, I Love Disco! Review: Second time around for Detroit deep house outfit The Kings of Late Night's 2005 Fly Away EP, which originally appeared on the West End Blue imprint. With Billy Love's sumptuous vocals to the fore, there's much to enjoy throughout - not least the organic, undulating, live deep house warmth of sublime opener "It's The Life". Theo Parrish's Sound Signature Remix of "Illumination" - ultra-deep, jazzy, spaced-out and hypnotic - remains one of the Detroit producer's greatest reworks. On the flip, beatdown pioneer Norm Talley takes on remix duties to deliver two contrasting versions of "Fly Away". There's the sparse, jazzy and intricately programmed West End Blue Mix, and the slightly smoother West End Lounge Mix, where Love's immaculate vocals take centre stage. Review: This really doesn't need any introduction does it? Arthur Russell's infamous and seminal Loose Joints compilation originally compiled back in 2013 gets a vinyl re-issue by West End on Record Store Day 2016. Yes, his undisputed disco anthem of ever "Is It All Over My Face (original 12" version)" indeed appears, not to mention the unreleased original female vocal version plus the full length and Larry Levan versions. If that was not enough, we've got three versions of "Pop Your Funk" and another three of "Tell You Today". Get your hands on a copy of this before it's too late! Intérprete: Mukatsuku Records Chart, Dj soFa, I Love Disco! Review: In cahoots with the annual (not to mention excellent) Liverpool Disco Festival, celebrated editor and remixer Rahaan has been let loose on the West End Records catalogue. Happily, his new versions are rightfully respectful to the chosen disco and boogie classics with the Chicagoan simply adding choice effects here and there as well as some cranky old drum machine beats and occasional synthesizer flourishes. 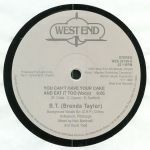 This is particularly evident on his raw but deep and slightly dubby take on Brenda Taylor's "You Can Have You Cake It Too", but also comes to the fore on the standout remix of Mahogany's spacey boogie jam "Ride on The Rhythm". String-laden disco bliss is provided via a bass-heavy re-arrangement of the Chuck Davis Orchestra's "Spirit of Sunshine", while Rahaan's Billy Nicholls rub is a high-octane, shirts-off treat. 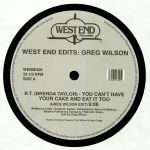 Review: With its NYC heartbeat and Paradise Garage relationship, West End's influence disco and soul needs no introduction. For this Record Store Day special we're treated to one of the label's first real retrospectives. 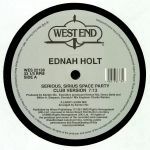 First released in 1987, it's the sound of the label looking back and unwittingly highlighting what would later become key influences, DJ tools and sample sources for the house explosion just months later. Sparque's hypnotic guitars and cosmic nuances on "Let's Go Dancin'" and the sassy synth groove (and iconic vocal) on "Do it To The Music" are just two key examples of how West End foretold the future... Not once with the original releases, but within the context of this compilation, too. Who knows how this will sound in another 30 years time?